I think Sabine and I would make a really good undead team in the zombie apocalypse. Because, as you can see, she'd make a weirdly hot zombie. So she could be all, "Yoo hoo, sailor," to the living, batting her red-and-yellow eyes, and I could jump out from behind a Dumpster and claw them. Anyhow, I'm a fool for Halloween — the costumes, the candy, the excuse to dress up my dogs (yep, I'm one of those people). I'm also a fool for a good free photo-editing program. 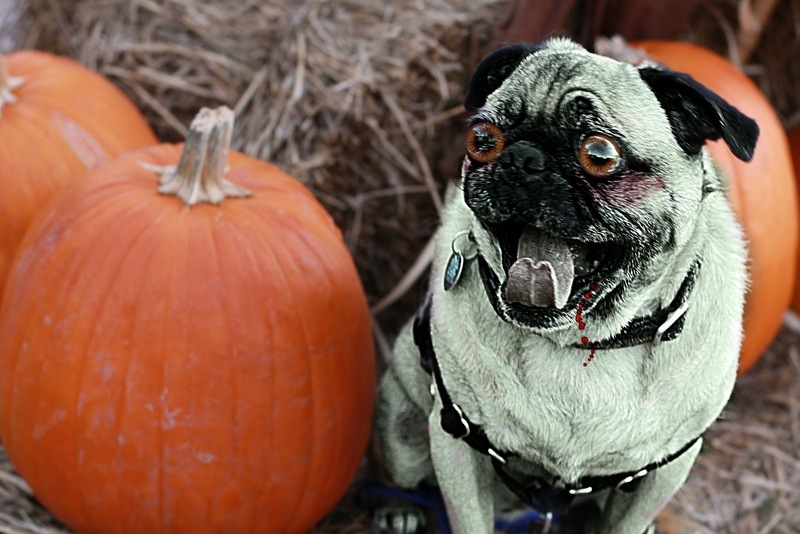 Luckily, there's picmonkey.com, which is quite the Halloweeny thrill. You can make yourself and your loved ones into zombies, witches, vampires or one of those Day of the Dead Skulls. And it's easy. As you've probably guessed by now, that's how I turned a snapshot from a trip to Vegas zombie-riffic (in case you're wondering what I'm actually doing in the picture, I'm trying to tell the person taking it how to use my camera, not actually trying to claw Sabine's cleavage). 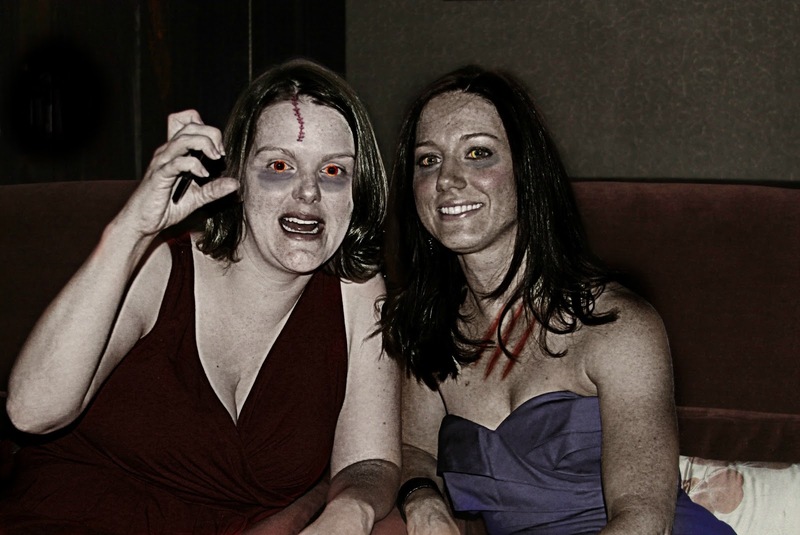 For example, you can Zombulate your skin and apply bruises, gashes, blood, creepy eyes and eerie effects. If you're not in the mood to be quite so scary, there are some cute Halloween fonts and labels and such under the Trick or Treat menu. Oh, and the non-holiday parts of the site are super-easy to use, too. It makes creating a collage a snap. And you can try a range of things from cropping to retouching to filters. Just remember, less is more when it comes to this stuff, unless you're doing something intentionally wacky, such as zombifying yourself.